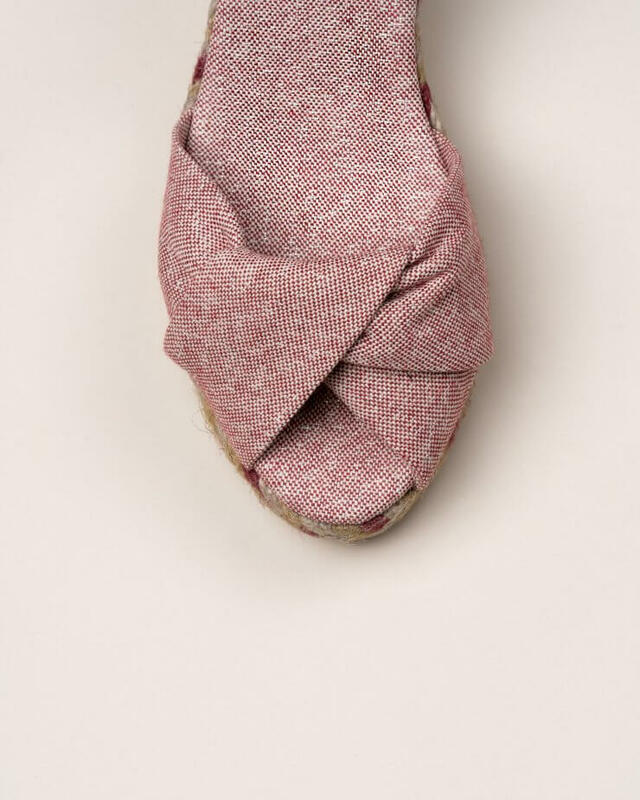 Fuchsia suede espadrilles. Sandals with side buckle clasp. High jute wedge platform.